Westchester Holistic Network | An organization of spiritual beings on a human journey. 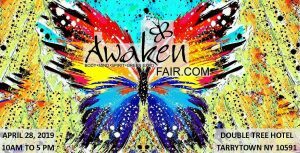 An alliance of spiritual beings on a human journey. 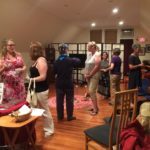 Westchester Holistic Network offers a new form of networking. 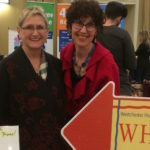 WHN provides educational and collaborative opportunities for our professional holistic practitioner members. Our meetings are open to the public. We offer spirited networking and interactive presentations for professional or individual growth. Meetings are often the third Tuesday of each month. 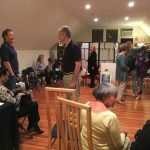 Whether you are a practitioner or simply curious about the local Westchester holistic community, we invite you to sample a meeting. First-time attendance is free. Join our list to keep current. 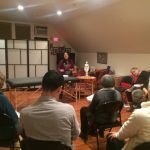 Westchester Holistic Network is part of Create QuanYin Institute. We meet the third Tuesday of each month at 7PM from September to May. Networking begins at 6:30. In June we have a Saturday event to give the public and our practitioners samplings, music and meditation. Outreach Membership fee is $149 for the year beginning February 1. All the benefits of an Alliance Membership + Outreach monthly e-blasts! Find out more about membership benefits here. Yes, I want membership now! At our meetings, we socialize, listen and share knowledge. A speaker offers a dynamic and experiential program. Members are invited to bring their business cards, brochures, flyers, etc., to put out for all to enjoy. Find out about our meetings on Facebook!